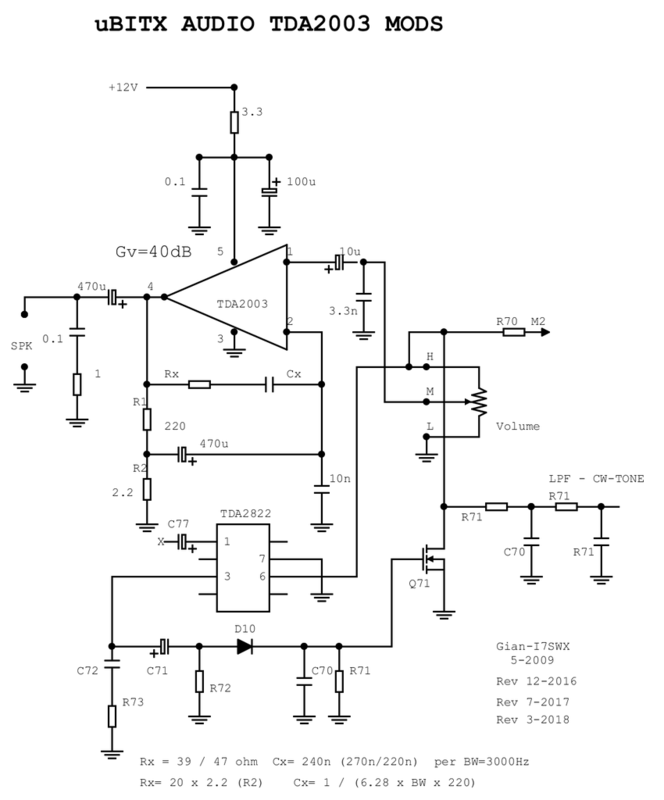 Re: Any gotchas replacing the TDA2822 with an LM386? I am sharing a mod I have drawn regarding the replacement of TDA2822. This circuit will be applied after other mods will be experimented on th uBITX. The audio PA is the TDA2003, a valid amplifier which bandwidth can be modified. My circuit is designed for 3kHz. The TDA circuit, with reduced bandwidth has been tried on some FT920, which have this iC. I have drawn the audio AGC using the original TDA2822 circuit and disconnecting the audio stage. It is possible that some components values may be changed. Sorry I have not tried this mod but maybe soome fiddlers may try it.